Plans are currently underway to offer Rochester and Florida emeriti an opportunity to travel together to visit their colleagues in Arizona. The dates are November 8-12. 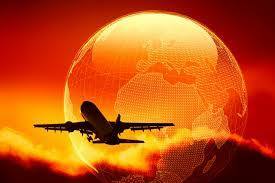 Trip package includes group price for flight and hotel. The itinerary will include tours of the clinic and hospital campuses as well as many options for exploring the area pending on your interest. Arizona emeriti are invited to join any of the activities as well as dinner. More information will be provided in the coming month. Contact Jonelle (morales.jonelle@mayo.edu) for more information.